The 5000 Series is a four-door stainless steel commuter train built by Tokyu to replace the majority of Tokyu's rolling stock. 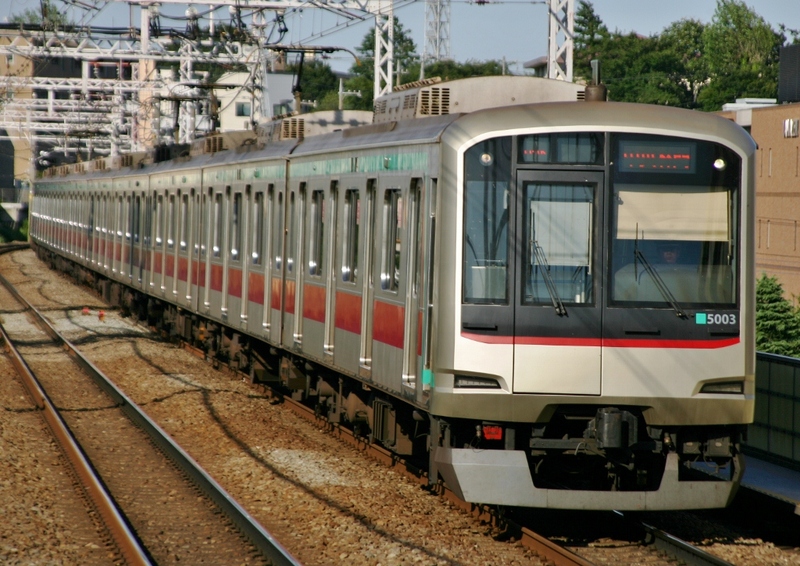 By the 1990s, a good portion of Tokyu's rolling stock had been in service for over 20 years. The original plan was to update these trains and continue using them but it was later decided to adopt JR East's new philosophy of train building -- half the cost, half the weight and half the life-span. 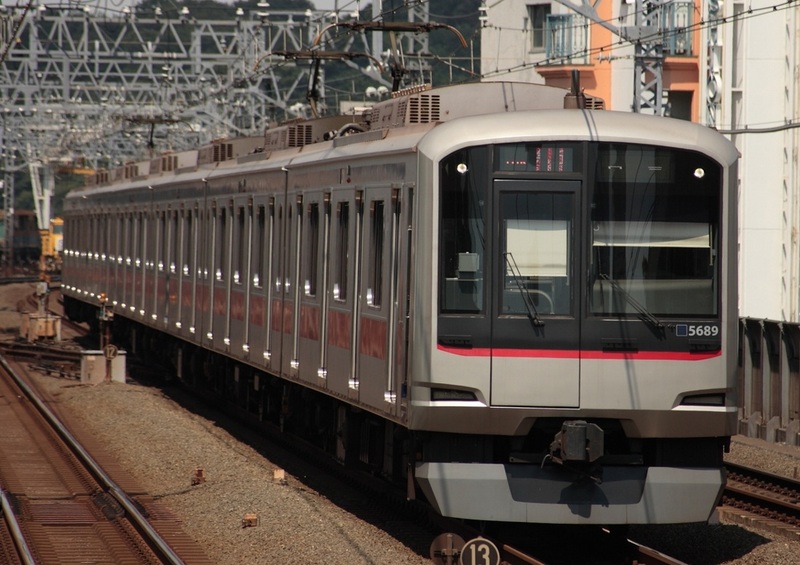 The 5000 Series was modeled after JR's Series E231 and shares many parts with it, but the main control equipment is similar to that used on Tokyu's 3000 Series. 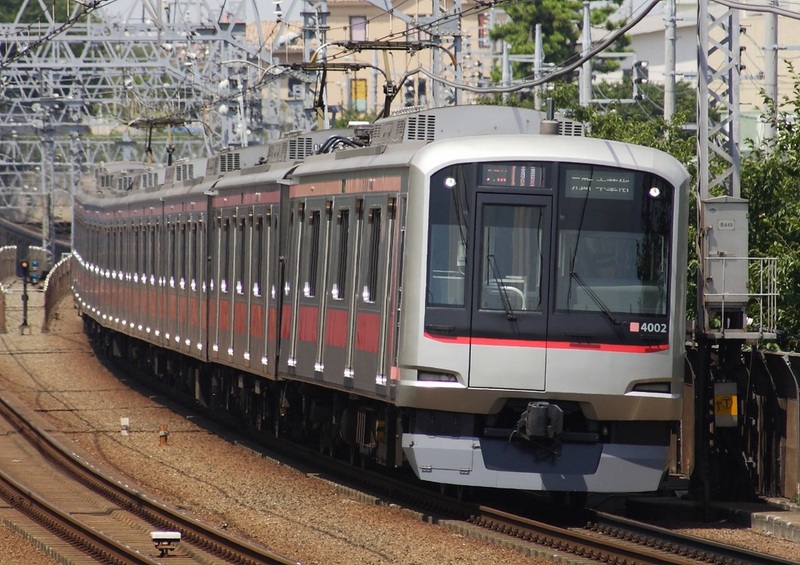 These new trains were first operated on the Denentoshi Line with the eventual goal of replacing the 8500 Series. Cars with 6 doors on each side were built to help relieve some of the crowds on the line. 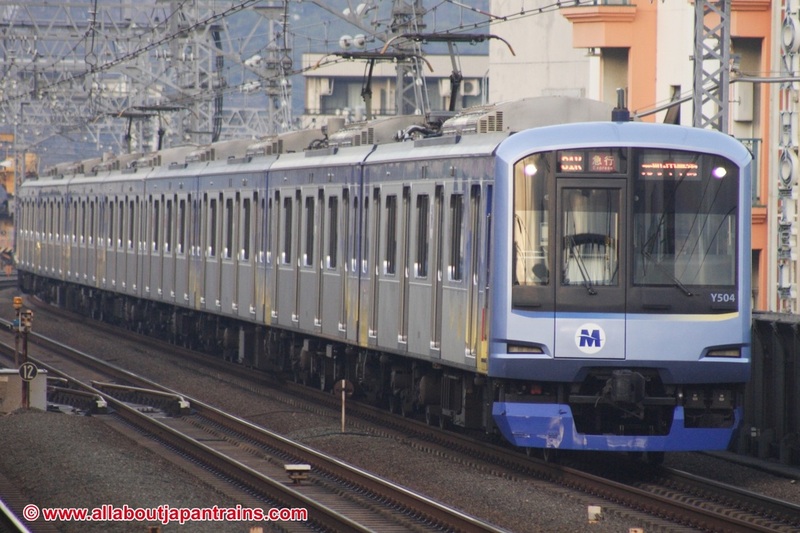 In 2003, a slightly modified version called the the 5080 Series was put into production and began operating on the Meguro Line to supplement the 3000 Series trains. These trains are equipped for one-man operation with TV cameras to aid the driver. Tokyu continued with its plan to replace its rolling stock and introduced the 5050 Series on the Toyoko Line in 2004. In 2011, the 4000 numbers, which are a 10 car variation of the 5050 Series, were put into production. These trains have automatic train operation equipment to allow them to run on the Tokyo Metro Fukutoshin Line. The Yokohama Minatomirai Railway Company also owns its own variation of the 5000 Series known as the Y500 Series. Only very minor changes were made to these trains and they are generally identical in practical usage to the 5050 Series. Currently, they are only operated as local trains on the Toyoko Line.